I'm sure you've heard inspirational messages, such as: "All you need is X seconds of insane bravery" or "You're just one deal away from financial freedom" or "You can be anything you want to be". Then you look around and notice that it doesn't seem to be happening for the majority of people. But some people, yes, those people, they seem to have nailed it! So what's the big secret of those who ARE leading amazing lives? First of all, the big secret is that it's not a secret. Nor is it about several seconds of terror, or finding one cracking deal or visualising yourself into the saddle of the next Charlotte Dujardin (insert the equestrian activity and role model of your choice). Here's more bad news - it's not about being "discovered". As the saying goes, it can take years to become an overnight success (and that's a huge clue, right there)! So what IS it about? My theory has been extensively tested on humans! Doing the hard yards myself (including living through divorce, debt, devastation and destruction of various kinds), as well as working with literally thousands of people in many different roles, has given me certain insights into why so many of us remain stuck. Sometimes we win, sometimes we learn, but the big breakthrough remains elusive for many. Have you ever noticed that most people live a repeating series of MYs (Mediocre Years)? Groundhog Day was bad enough, but Groundhog Year?! I'm going to share with you how you can break the cycle. IF YOU DO IT, however, things WILL change. You will leave MYs behind and begin to have EYs (Exceptional Years). Put enough EYs in a row and one day you will notice that you have an EL (Extraordinary Life). Just like the best time to plant a shade tree was 50 years ago and the second best time is now, you can start today. Here's what to do, if you are motivated to move from MY to EY to EL. Are you ready? Grab a pen and paper! Begin by getting very clear on where you want to be in five years - I mean super clear. Describe your desired future circumstances in great detail, including some hard data (where are you living, what are you doing, with whom, what is your passive/active income, how much is in your cash reserve etc.). Write it out in the present tense (eg, "It is December 2023. I am ... , I do ... , I have... , I am so glad that I planned this and took the steps required to make it happen!"). Now we reverse-engineer that precise description by creating goals for 2019 that are focussed on getting you to where you want to be in five years. Beside the goals, write down the actions that will progress you towards achieving your five-year outcome. Done that? Beginning with January 2019, take the goals for the year and break them into goals for each month, and, as you get closer to the time and can plan with greater granularity, include goals and action items for each week, each day. Repeat month by month. Around this time next year, review your progress, adjust and repeat the planning and goal setting process. And so on, every year. Is this what most people do? Absolutely not, so don't be like most people. So I want you to take action. Do it, and let me know how you go. Get yourself a cheerleader if you lack confidence, or a coach if you need someone to help you to plan and keep you accountable. 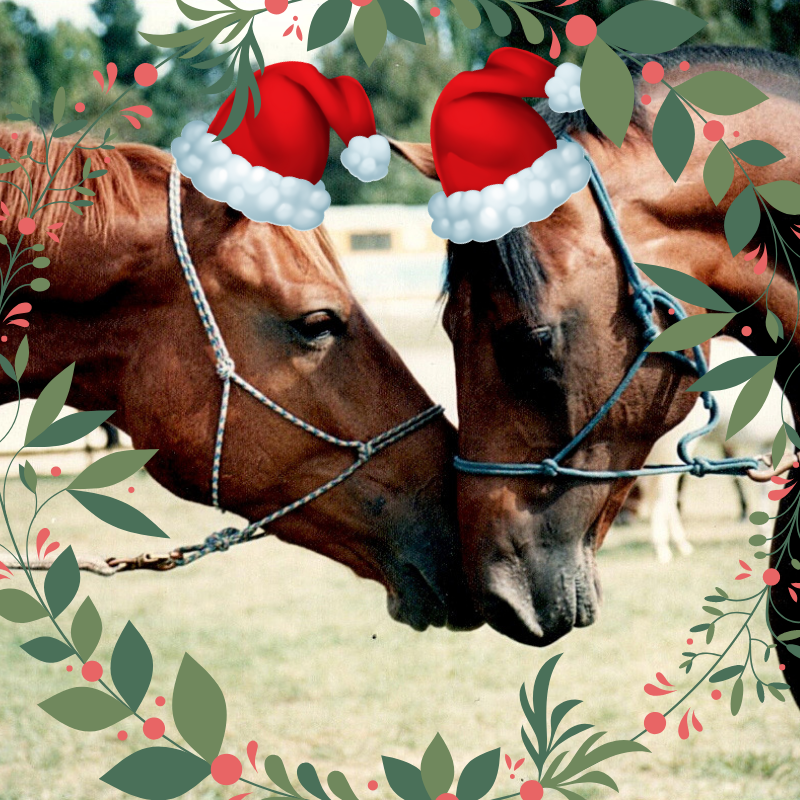 Festive Blessings To You And Your Horses, And Best Wishes For An Outstanding New Year! 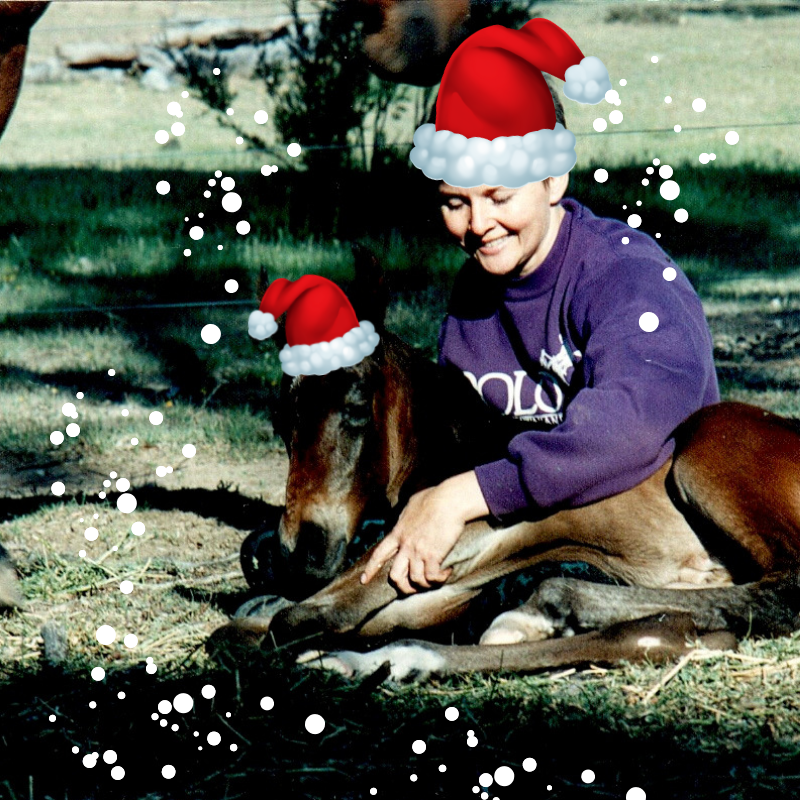 PS: Pop over to my "Hoof Picks" page to download a free 2019 Horse Calendar to help you make your dreams a reality!